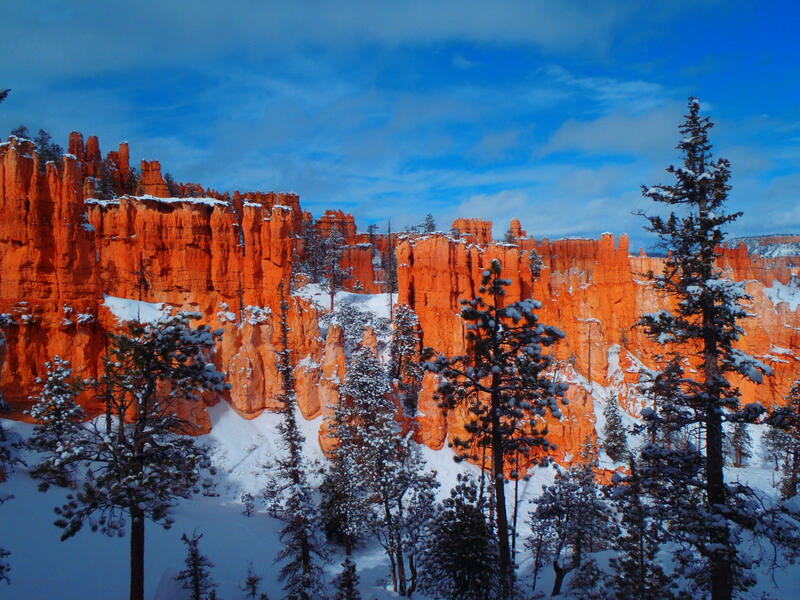 There’s something about winter that adds a welcome variety and new feel to a place like Bryce Canyon. When I saw this picture I immediately thought about how you can see something a hundred times, and then mother natures steps in and gives you a view you hadn’t seen before. It’s variety like this that make places like Bryce Canyon such a wonderful place to visit. No matter how many times you’ve visited it, it can still shock you and show you in a new way her beauty. That’s what snow can do, it gives you a new look, a fresh clean look of something as stunning as the hoodoos of Bryce.